Legal boundaries and responsibilities clarify the expectations and scope of the work. Success requires that the necessary work be defined, planned, implemented, evaluated, then adjusted for improvement. Collectively, each board or work group has its own culture, which will change as members come and go. Individually, each member of every board or work group has a unique personality, learning style, communication preferences, skill set, and interests. Daily practices demonstrate how or whether espoused principles, such as “transparency” or “financial stewardship,” are being used in meaningful ways. Every decision is networked, touching other issues, plans, values, or processes. Given that effective public leaders successfully manage both the art and the science of their work, they tend to stay on the look-out for legal, practical, and social resources to use. One comprehensive resource is County and Municipal Government in North Carolina. To be user-friendly, the recently released second edition offers the option of purchasing any of the individual chapters or the whole publication. The content ranges from conceptual to legal to practical and covers forty-six topics. On the “science” side of content, there are chapters that address particular areas of expertise ranging from open meetings law to the duties of particular departments. Contemplating exercising your county’s right of eminent domain to expand the airport? Chapter 24 explains how that process would work. Trying to understand the personnel implications for consolidated human service agencies? Chapters 13 and 38 provide key pieces to that complex puzzle. 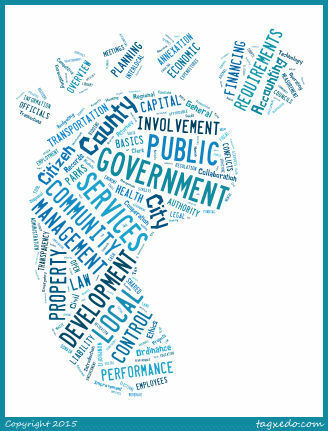 Whether you are seeking the details in one particular situation or an overview of how local governments work, County and Municipal Government in North Carolina is a resource worth checking out.